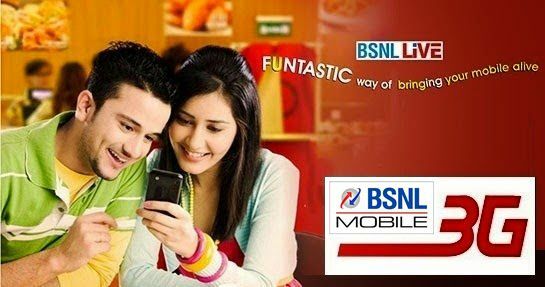 BSNL converted the existing Special Tariff Vouchers (BSNL STVs) Validity from Days to Calendar Days on PAN India basis under GSM Mobile services. State run Telecom Company Bharat Sanchar Nigam Limited (BSNL) has revised validity of all existing GSM prepaid plans mobile Special Tariff Vouchers (STVs) to ‘Calendar Days’ from Days with effect from 1st July, 2016 onwards in all Telecom Circles. According to the 43rd amendment of TRAI (Telecom Regularity Authority of India) instructions/guidelines/orders has decided to rationalize the Validity of existing Voice, SMS, Data usage , Combo, National Roaming, Friends and Family, Mobile TV, ISD, Data sharing, Night Calling STVs from Days to Calendar days on PAN India basis. As per latest information, BSNL listed all the different category of existing STVs where validity has been changed from Days to Calendar days. Validity in Calendar days means, while counting the validity of STV the day of recharge (irrespective of time) also will be counted as ONE DAY. If a customer is activating a new Voice STV 56 with validity of 8 days as on (01-07-2016) at 02:00pm the voice STV will expire on eighth day i.e on 08-07-2016. The above Revision will be implemented with effect from 1st July, 2016 onwards in all Telecom Circles under Prepaid plan mobile services.